The Race starts behind the Registration and Venue Marquees on the outer seawall walkway and runs along Fleetwood's Outer Promenade and Esplanade with great views over Morecambe Bay. It is a perfect race for runners of all abilities with a fun and friendly atmosphere. A warm FCR welcome awaits everyone. It is also very flat and certified accurately measured. 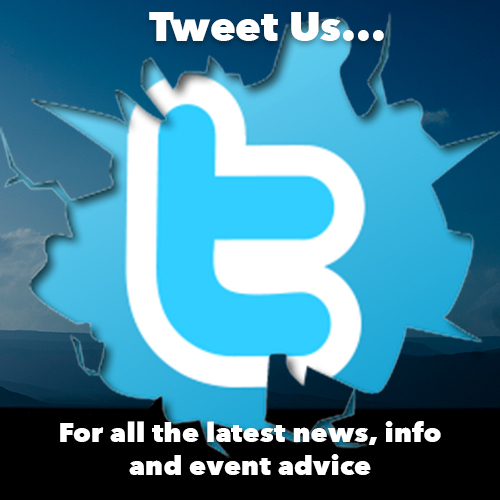 The event headquarters is at the Beach Road Car Park, Fleetwood FY7 8PG. There is a car park here, but does fill up quickly. There are an additional two car parks just North a bit further along the Esplanade. At race HQ you will find the registration desks where you can collect your race numbers, an enquiry desk if you have any questions, toilets, and baggage storage. Changing and shower facilities are available at the adjacent leisure centre for a small charge. Entry into the event is open to everyone of all abilities as long as you are aged over 17 on the day of the race. Online entry is the quickest method and we do not charge a transaction or handling fee for debit/credit cards. Standard entry fee is £21.50 (£19.50 for ARC Members & UK Athletics Competition Licence holders). There may be entries available on the day (don't risk it though), and these will be charged £5 extra. Postal entries will not be accepted. Please click the button below complete the entry form to secure your place. All major debit and credit cards are accepted. A confirmation email will be sent when your entry has been processed. ​Standard Entry Terms & Conditions apply. The awards presentation will take place at approximately 12.30pm at the registration area. Your running number needs to be collected from the Race Makers on the day from the race venue. Registration opens at 8.00am. 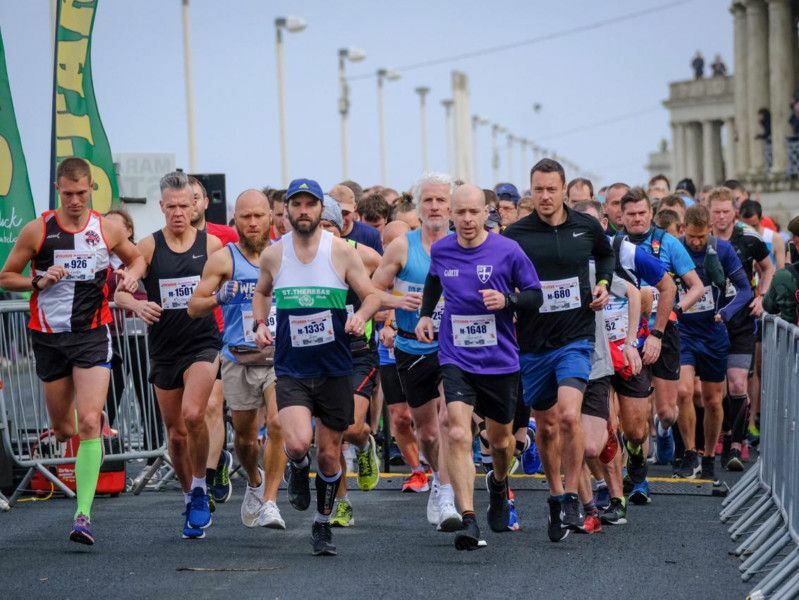 You can also collect your running number from the race offices the full week prior to the race at Fylde Coast Runners, Unit 1a Hoo Hill Estate, Blackpool FY3 7HJ between the hours of 10am and 4pm. Please bring your email confirmation or payment receipt with you when collecting your race pack to ensure a swift collection process. You should arrive in plenty of time to avoid queues. 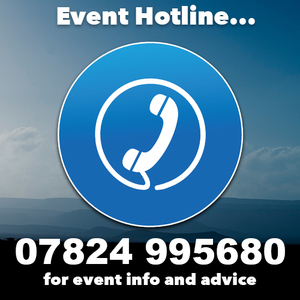 There is an enquiry desk if you have any problems or questions about the event. 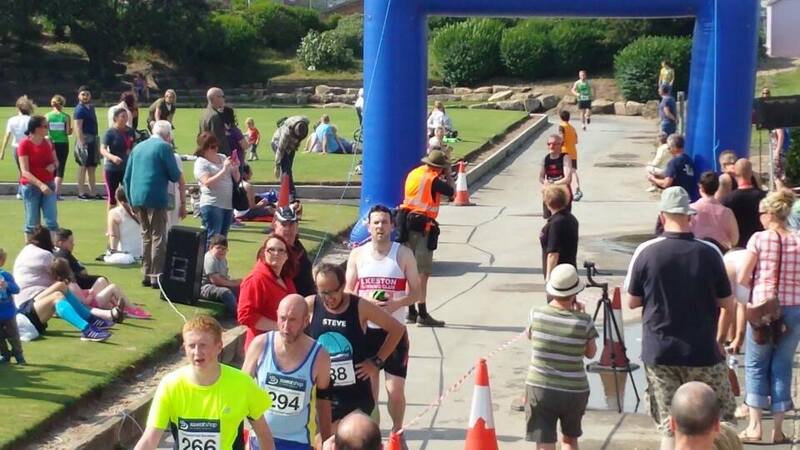 The race venue is the Beach Road Car Park, Fleetwood FY7 8PG. The race HQ is clearly signed. Registration and late entries are located with the marquee within the gardens. Baggage storage is also clearly marked. There are no changing or showering facilities, however you can use the YMCA Leisure Centre, which is located next door for a charge. By Car: Exit the M55 at junction 3 and follow the A585 and signs for Fleetwood. Drive past the Freeport Shopping Village and the former Port. Pass the Marine Hall Gardens (former venue) on the right hand side and continue down the Esplanade. The race HQ is located on the right hand side at the roundabout with Beach Road. There are several car parks on the Esplanade for use on the day. The car parks will be clearly signed. Please park legally at all times. Council Parking Enforcement Officers operate throughout the day. Number collection, baggage storage, race help desk and toilets are all located with the Marine Hall Gardens. Arrive in plenty of time to allow you to park; collect your running number; get changed and visit the toilet etc. Just before the start the toilets become busy so plan your visit carefully. When you have your running number, fill in the medical information section on the back. Be careful not to damage or lose your number, as replacements will not be issued. If there is a risk of you blacking out during the race (for example if you suffer from fits), put a red cross on the front of your number. Pin your number on your FRONT without folding or covering it - it needs to be seen by the Race Makers. Do not pass your running number on to anybody else without first notifying registration - this is to ensure the results are correct and for obvious safety, insurance and medical reasons. When you are happy that you are ready to run, make your way to the start area. The start location is clearly marked by the inflatable archway. Line up behind the start line, where there will be a few safety announcements before the race starts at 10.00am sharp. 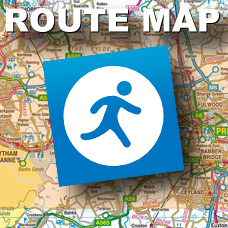 The route you are running on is open to the public so be aware of pedestrians and cyclists. We advise that you do not wear iPods or similar devices whilst running. You may not hear stewards or indeed fellow runners if they need help! At the finish you will be awarded with your runners medal. Water will be available along with medics, should they be required. Water stations are located at 3.6 miles, 6.01 miles, 7.6 miles and 10.03 miles on the route. Bottled water is available to all runners. The bottle cap will be removed before being passed to you. The station will be clearly signed. Please try and drop your bottles as soon as possible so we don’t litter the course too much. It also helps the crew at the stations to pick the bottles up quicker. A water station is also located at the finish area. Medics are available throughout the course on bikes and at the finish. If you get into any difficulties on the course you should alert a steward or medic who will be able to help you. If you have to drop out for any reason, and you cannot make your own way back to the race venue to collect your belongings, then make your situation known to a course steward or a member of the medic crew. Arrangements will be made to pick you up and bring you back. Priority will be made in cases of injury or illness. If you are very slow, but are determined to finish, on-course facilities may become less available. 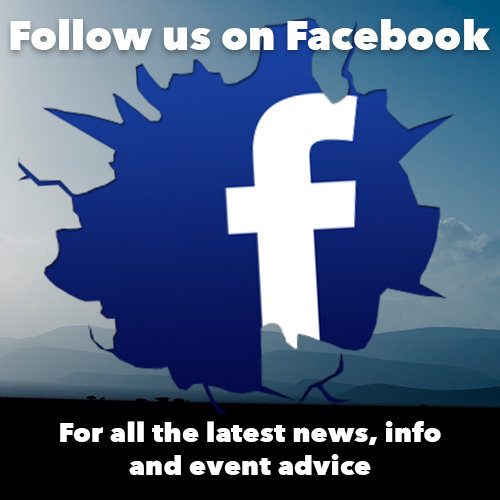 Our team at the rear of the field will endeavour to give you support and advice. At some point, perhaps through tiredness, cramp, blisters, etc, you may be forced to walk. If this happens you must move as far to the left hand side as possible to allow runners to overtake. You must be fit and well to compete in the event. Severe exertion during or soon after any illness is extremely dangerous. Do not take any chances with your health. If you find yourself in this situation you must withdraw. But do not despair! Complete the deferral/transfer form at least 24 hours (£5 fee in final week) before the race and we can defer your entry to the following year for free so you do not lose your entry fee.